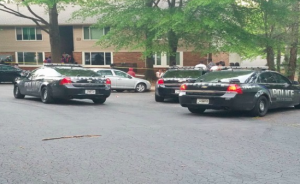 Tarvis Taylor Killed in Atlanta Apartment Shooting; Was This Tragedy Preventable? Could the Death of This Atlanta Teen Have Been Prevented and Is Justice Available to His Family? 19-year-old Tarvis Taylor was reportedly shot and killed outside his Paradise East apartment home Saturday evening, April 28, 2018. According to the AJC, the shooting occurred around 7 p.m. “behind one of the buildings at the Paradise East Apartments on Bouldercrest Road.” Neighbors told FOX 5 “they ducked for cover during the gunfire.” Tragically, Mr. Taylor succumbed to fatal injuries at the scene. Was negligent security a factor in this senseless Atlanta apartment shooting and could this incident have been prevented? Read Our Legal Take below to find out if Mr. Taylor’s family may have legal avenues for justice and claims for substantial compensation in Georgia. How did the gunman gain entry to the complex? What additional security measures, such as gated-entry, surveillance cameras and security patrols, were implemented by the apartment complex owner following media reports of prior gun violence on property? By law, property owners in Georgia are required to protect all those legally on the premises from any foreseeable harm. Should the facts of this matter reveal that the apartment complex owner or management failed to provide adequate security, the family of Tarvis Taylor may seek justice and elect to pursue legal claims for his wrongful death.